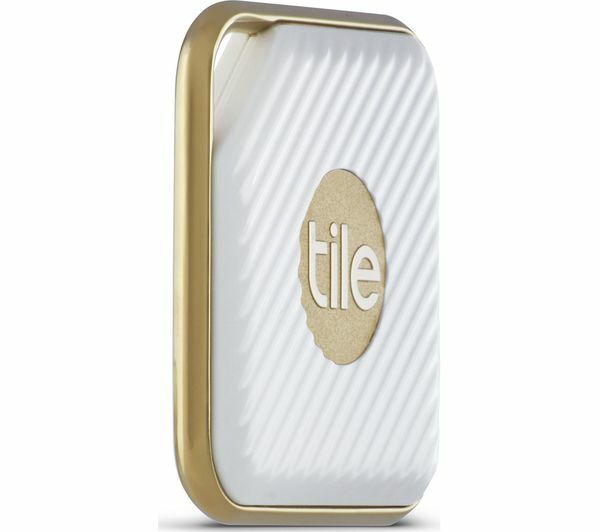 Simply attach the small, discreet and useful Tile Style Bluetooth Tracker to an item and locate it quickly and easily with Bluetooth tracking. Use it with your keys, wallet and other treasured, useful or easily misplaced items so you don't lose them in future. The stylish white and gold exterior is designed to look good with anything you pair it with. Lost your smartphone? Press the Tile button to ring it loudly even when it's on silent mode and the Tile's speaker will help you hear it. New ring tones let you customise the way you listen out for your lost items. Tile Style is twice as loud as the original Tile, and with twice the range. Using the map you can see its last known location to search there first, or send a lock-screen message in case someone finds it for you. The proximity meter has been improved from the original Tile, so finding your lost item is even easier. 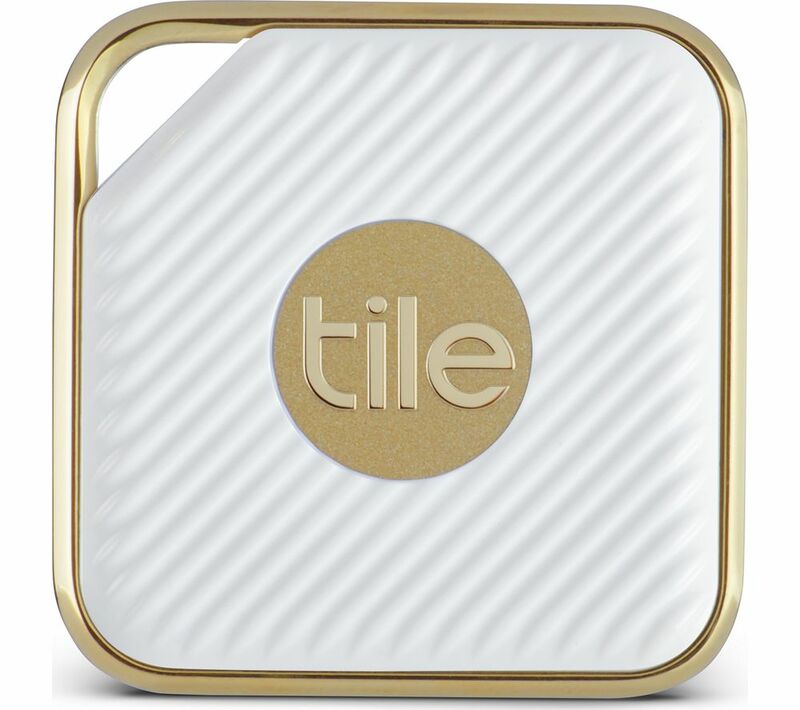 The growing Tile community can help you find your missing item. When a Tile user approaches, the app notifies of the last-known location. 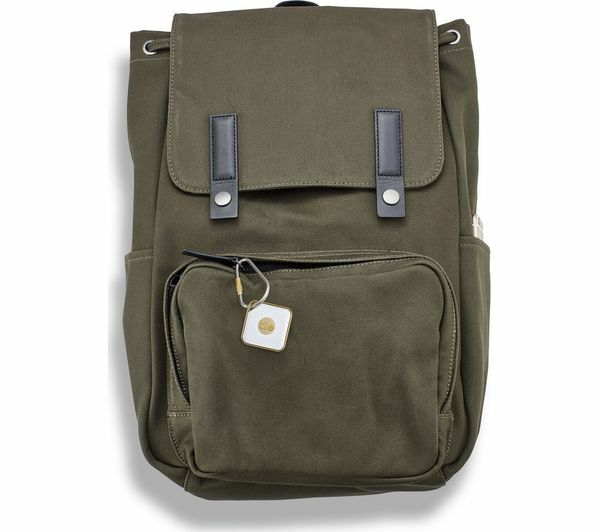 With other users on the case, you could find your important belongings in no time. The non-rechargeable batteries last a year, after which you can replace your old Tiles with new ones for a special community member price. With a sealed, water-resistant case, the Tile Style can also stand up to the rigours and stresses of daily life. The battery is sealed away from children and pets, while the Tile cannot be disabled if it falls into the wrong hands. This gives you added peace of mind, knowing that you can use the gadget confidently and continuously. Built-in battery lasts one year (After a year, you can reTile to get a brand new device at a discount).